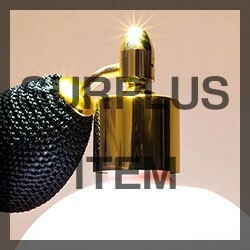 Make your perfumes memorable for all the right reasons! Inferior oils can lose their scent or turn bitter. That's why you should use only the finest products available. Besides, why pay a lot for mediocre products when you can buy pure fragrance and essential oils wholesale? Perfume products have come a long way since the days when fragrance options were limited to a handful of floral scents. Today's consumer wants variety. Thanks to Essentials by Catalina, your lineup of scented products will offer them more choices than ever. From bright Acai Berry to Zest for Life, our A-Z range of pure fragrance and essential oils covers a wide spectrum of fragrances. If you are having trouble finding the right fragrance, then try our visual fragrance finder! Select, produce, and prosper as you savor the sweet smell of success! From classics like Rose and Lavender, to hard to find fragrances like Twilight Woods and Clementine Peach, you'll find all the wholesale oils you need for your business right here at Essentials by Catalina. Order now, many of our most popular products qualify for free shipping. Wow love these fragrances! Woodlands is awesome and Coco Mango is my customer favorite. Cilantro & Lime is also a favorite, since it is no longer an option we switched to Tango Mango and has been well received. Thank you Essentials by Catalina. Also enjoy the superior quality of your AC&amp;E Lotion Base.